Happy Monday and happy Lilly Pulitzer After Party Sale day! I’m back home and on the struggle bus after the most fun weekend ever on the Jersey shore celebrating my sister’s bachelorette party. I’m going to do a whole post later this week on how to throw a great bachelorette weekend because I learned a lot and had so much fun along the way. So stay tuned for that, but in the meantime, let’s talk about this amazing sale. For those of you who don’t know about the After Party Sale, the best way to describe it is the absolute best sale of the entire year if you’re a Lilly fan. The prices are insane, often over 50% off of the original ones, and the product selection is amazing. It starts at 8am today and goes until Wednesday at 11:59pm. The line will be craziest this morning, but the selection will also be the best. The only tough part is that it’s kind of crazy and you will probably have to wait in a “virtual line” to get your spot. 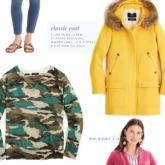 I included my favorite picks from the sale as well as a few FAQs (I got the answers directly from the Lilly Pulitzer team!) about how the sale works. Enjoy and happy shopping! Weekender Leggings: Some as low as $49! When and how can I shop the After Party Sale? The After Party Sale begins around 8AM EST today and ends on September 12, 2018 at 11:59PM EST. Shop the sale with this link. I recommend getting to your computer a few minutes before it starts and refresh the page at 8am exactly. If it takes you to the virtual line, don’t refresh the page again, just wait until you get to the “front of the line!” This is kind of annoying but the sale is really really good so worth it, IMO, if you’re looking to stock up on Lilly! Will there be a virtual line? Yes. It will be the same virtual line system as previous years so be sure to get “in line” early! 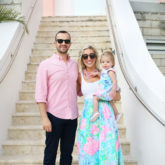 Does Lilly Pulitzer run true to size? All items are final sale, and you won’t be able to exchange anything once you get it, so make sure you buy the right size. I find that I usually have to size down in Lilly Pulitzer if that helps. I had an item in my tote, but it disappeared! What happened? Just because an item is in your tote does not mean it is reserved. You must completely check-out and pay before the product is unavailable to other shoppers. Due to high volumes of orders, inventory availability is not guaranteed. You can easily check your order status by clicking “Order Status” at the bottom of our website. Enter your order number and your billing zip code. What’s the fastest way to checkout during the sale? For the smoothest checkout experience, create an account beforehand. You’ll enter your name, email address, and shipping information. Be sure to enter a valid US shipping address that can accept packages for up to 4-6 weeks after the sale. Please double (and triple!) check all your personal information – Lilly Pulitzer® is not responsible for incorrectly entered shipping addresses.